The #BeCyberSafe project is a product of a long build up process that stemmed from the realisation that online safety for children is important. With the advent of technology, anyone and everyone can gain access to the internet with unparalleled ease. However, with this ubiquitous access, one of the major growing concerns is the online safety of the children. In a 2016 national baseline study on violence against children, about 43.8% of children between the ages of 13 to less than 18 have said that they have experienced cyber violence. Additionally, a 2015 Cybersafe survey conducted by Stairway Foundation discovered that only 5 out of 10 children experienced having someone talk to them about CyberSafety. The caveat: the quality of the cybsersafety talk they received is undetermined. Alarmingly, the Philippines had become the global epicentre of the live-stream sexual abuse trade, and many of the victims are children according to the UNICEF in 2016. Thankfully, there are good souls in the country who are concerned and have started an initiative that addresses the issue of online safety for children. 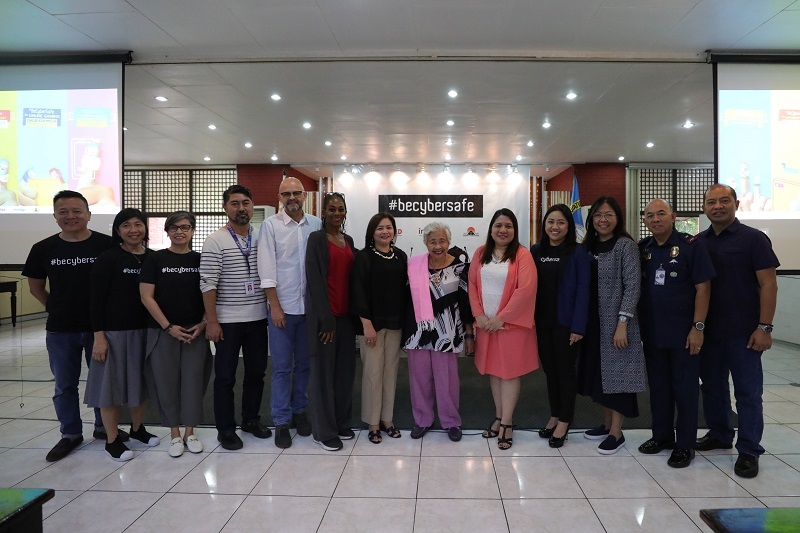 OpenGov Asia is conferring the #BeCyberSafe project with a Recognition of Excellence award at its Philippine OpenGov Leadership Forum 2019 on 25 April 2019. An understanding of the project will require knowledge of its background. To learn more about the project and share its journey, OpenGov Asia spoke with Mr Ysrael C. Diloy, Senior Advocacy Officer, Stairway Foundation. The #BeCyberSafe went through a long build up, which started during the Department of Education’s (DepEd) child protection policy initiative in 2012. In a national training of trainers conducted by DepEd, for their campaign on child protection policy in 2013, they included online safety as one of the topics discussed. The DepEd participants realised the importance of online safety, but lacked the specific materials that can be used inside the classrooms, specifically, lesson plans. This is where the non-stock, non-profit, non-government child care organisation from Puerto Galera comes in, with Ysrael’s CyberSafe Initiative of Stairway Foundation, which started in 2007. A development process for the CyberSafe lesson plans began and was eventually launched in 2016, with a memo from the Department promoting the usage of the manuals. 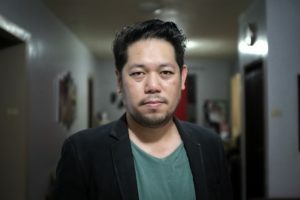 In 2017, the Internet Mobile Marketing Association of the Philippines (IMMAP) engaged with the Department, on the interest of working with them on the issue of cyberbullying. DepEd referred the Association to the Foundation because of their existing CyberSafe engagement. The rest, as they say, is history. In November 2018, the #BeCyberSafe initiative of the tripartite was officially launched. There are 3 main components to the project: Project for Keeps, Dalir-Eskwela, and Chatbot. Project for Keeps is the awareness raising component, wherein a short video on online friending was created to initially generate general public awareness on Cyber Safety. The Dalir-Eskwela is the education component of the initiative, wherein 4 educational videos on CyberSafety were developed. These videos tackled Cyberbullying, Online Gaming Addiction, Chatting and Self Generated Child Sexual Abuse Materials. Chatbot, the component addressing the response portion, is still in the development and finalisation phase. It aims to serve as an online reporting tool that children can access to report distressing situations they encounter online, such as online abuse or cyberbullying. When completed, the chatbot will be turned over to the Department for ownership and management. The awareness and educational materials, together with the CyberSafe lesson plans, are being promoted through a series of official DepEd national training of trainers on CyberSafety. The CyberSafe Training of Trainers is a 3-day national training done per region. There will be one training per region, wherein 3 division level trainers will represent each school division. The division level trainers are responsible for cascading the CyberSafe training to each school in their own divisions. Day 1 focuses on discussing the different child online protection issues that children are facing, using the Content, Contact and Conduct framework. Content talks about inappropriate and abusive materials that children encounter online. Contact risks are about inappropriate and abusive online interactions. Conduct risks, meanwhile, are the risky or harmful behaviours of children themselves. It will have a special focus on making participants understand the socio-cultural factors which influence child online protection issues. Day 2 focuses on the response strategy in terms of prevention. The primary of which is comprehension of the CyberSafe lesson plans, with a focused discussion on content and pedagogy. Actual demonstration sessions and return demonstration sessions are done during day 2 in order for the participants to see and exhibit how to run the CyberSafe lessons inside the classrooms. Day 3 focuses on discussing the #BeCyberSafe audio-visual tools such as Dalir-Eskwela, and how it can be used in conjunction with the CyberSafe lesson plans. He also mentioned that they have seen a very clear digital divide between service providers and children during the CyberSafe Training of Trainers (TOTs) that they have conducted. How to measure the project’s success? Although the project is still at the capacity building phase for service providers, and implementation with children will start during the latter half of 2019 onwards, they have already projected some initial measurement metrics. The Foundation recognises the need to further upscale CyberSafe education by employing 21st century solutions to the 21st century problem of online sexual abuse and exploitation of children. And in order to make child protection education more accessible, the Foundation also launched an ELearning platform. A range of interactive ELearning modules on Child Rights and Child Protection were developed, and is now freely accessible here. It will definitely be a long road ahead for #BeCyberSafe. But with good intentions in place; and the government and organisations working hand in hand, the project will likely climb the stairway of success, thereby ensuring a bright and secure cyber future for the Filipino children.